For the second year in a row, Long Beach Unified School District’s counselors earned the most awards of any school district statewide in the annual SPARC Academy Awards competition. The awards are presented each year to California schools that best define and implement the state school counseling reform curriculum. 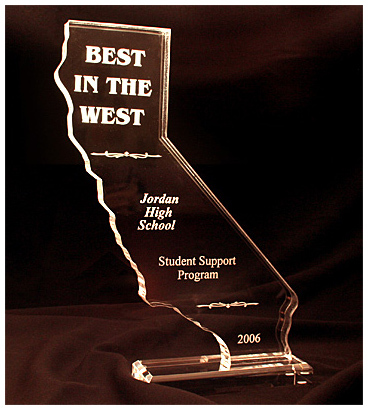 Earning Best in the West honors were Avalon, Cabrillo, CAMS, Hughes, Jordan, Lakewood, Renaissance, Wilson and Millikan. Winning the SPARC Academy Award were Robinson, Newcomb, Poly and EPHS, while Reid and Stephens earned commendations. Each school prepared an extensive application listing specific measurements of their attainments. These best practices are given numerical ratings. Top scoring schools may earn a SPARC Academy Award the first two years. Highest scores three years in a row compete to earn the Best in the West honor.